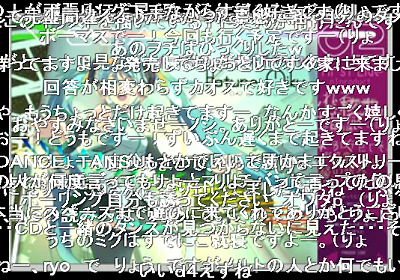 I just love Nico Nico Douga. Congratulations on reaching 1 million! To view ryo’s comments in his video, continue reading. 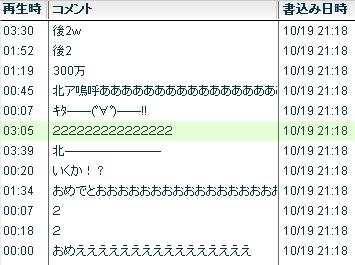 ryo’s Comments are in Orange. Actually in YT there are videos with 20 million views or 300.000 comments. A long-lasting conference between the uploader and viewer in the comments do exist too. 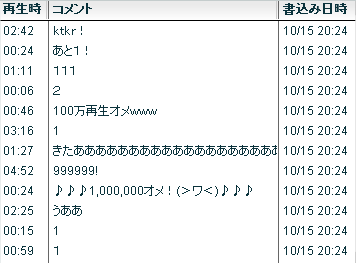 “1st viewer” is likely to be more popular.